On August 15th, 2012 the Consumer Product Safety Commission, (CPSC) in cooperation with Bumbo International, voluntarily recalled approximately 4 million Bumbo Baby Seats to add a restraint belt and new warnings to the Bumbo® Baby Seat. Currently, infants can maneuver out of or fall from the seats, risking serious injury. 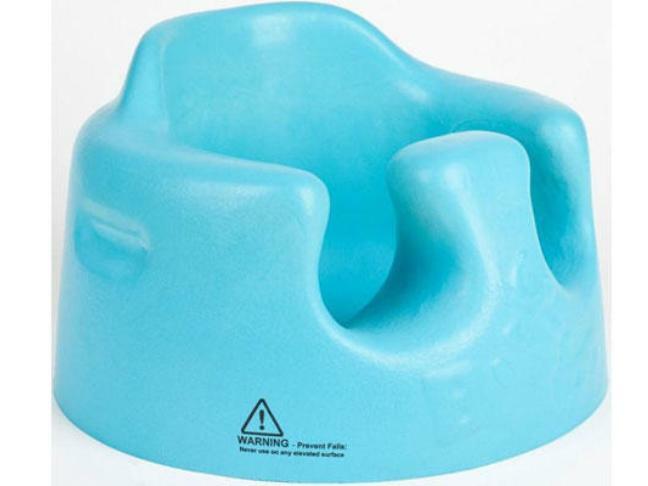 These Bumbo seats look like the picture above; they come in a variety of colors, and the bottom is round and flat measuring about 15 inches in diameter. They are each constructed from a single piece of molded foam and feature leg holes, while the back of the seat is designed to wrap completely around the child. On the front of the seat, you will see the word "Bumbo" in raised lettering with the image of an elephant on top. These seats have been sold since August 2003 by Sears, Target, Toys R Us, Babies R Us, USA Baby, Walmart, numerous toy and children's stores nationwide, and various online sellers. Find out if you have one of these seats here. There are at least 50 known incidents in which a baby has fallen from a Bumbo seat while it was perched on a raised surface; 19 of those falls resulted in skull fractures. Additionally, at least 34 reports have come to light in which infants fell or maneuvered out of a Bumbo seat used on the floor or at an unknown elevation, resulting in injury. What Should You Do if You Purchased One of These Bumbo Seats? Stop using this product immediately, and order and install a free repair kit, which includes: a restraint belt with a warning label, installation instructions, safe use instructions and a new warning sticker. The belt should always be used when a child is placed in the seat. Even with the belt, the seat should never be used on raised surfaces. You can order your free repair kit here, or by calling (866) 898-4999 between 8AM and 5PM CST, Monday through Thursday, and between 8AM and 12:30PM CST on Friday. Do not return the Bumbo seat to retailers; they will not be able to provide a repair kit. Cease the use of the Bumbo seat covers completely; they interfere with the installation and use of the belt. A video demonstrating proper installation of the restraint belt and proper use of the Bumbo seat is available at www.BumboUSA.com. See the official CPSC recall for more information, or visit the Bumbo recall page.